Pepsi Gets Flak For New 'Skinny' Diet Soda Can Diet Pepsi has introduced a new "skinny" can — But some critics are giving it a big, fat "no." A PepsiCo executive says the "slim, attractive new can is the perfect complement to today's most stylish looks." The new can will be available nationwide in March. Diet Pepsi's newly slender can — and an accompanying suggestion that skinny is better — brought harsh words from the National Eating Disorders Association. Diet Pepsi has introduced a new "skinny" can for Fashion Week, but some critics are giving it a big, fat "no." The can is a "taller, sassier" version of the traditional can that the company says was made in "celebration of beautiful, confident women." Pepsi's equating of "skinny" and "beautiful" and "confident" is drawing criticism. PepsiCo Inc. presented the new can at New York's Fashion Week, which began Thursday. It will be available to consumers nationwide in March. The company, a sponsor of Fashion Week, is hosting a series of events to launch the new can, include collaborations with popular designers such as Charlotte Ronson and Betsey Johnson. Jill Beraud, chief marketing officer for PepsiCo said in a statement that "our slim, attractive new can is the perfect complement to today's most stylish looks, and we're excited to throw its coming-out party during the biggest celebration of innovative design in the world." Critics say that sales pitch is nothing to celebrate. The company's push may offend some consumers who don't back the "skinny is better" ethos. Brand critics praised the new design but say the company may be a bit off on its sales pitch. The National Eating Disorders Association said it takes offense to the can and said the company's comments are both "thoughtless and irresponsible." Libby Copeland summed up many of the criticisms in an article for Slate. "Same old story - aspirational, looks-oriented advertising with a thin layer of faux-empowerment on top," Copeland wrote. "If you're confident on the inside, you'll be skinny on the outside, or something. Huh?" 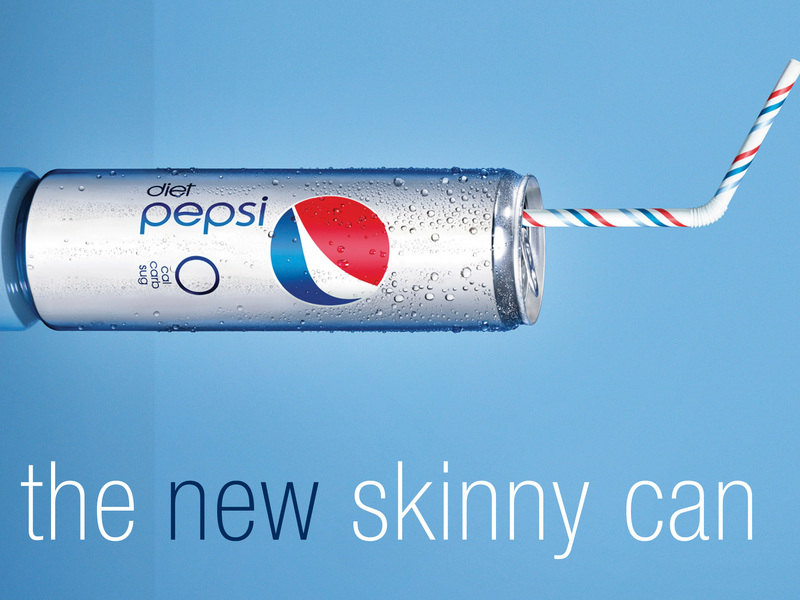 The skinny can won't replace the traditional can, according to PepsiCo.